Cholera outreach presentation – HHN committee Secretary Daniel Desronvil and Director Rosedanie Cadet at Simonette neighborhood cholera outreach presentation. Immediately upon arrival in Limbe in November, Rosedanie Cadet has been focused on a variety of projects all related to the Cholera outbreak which has spread across Haiti including in Limbe and the surrounding region. Click HERE for some more details from Rosedanie’s last blog entry summarizing her efforts on Cholera Prevention. Sharing a meal at HHN Center after work party. Part of the nutrition education program instituted by Helping Hands Noramise. Update on the cholera situation in Limbe’: According to the head of Doctors Without Borders (MSF), we haven’t seen the ‘tsunami’ of cholera that will hit Haiti. This prediction, which seems a rather dark view of the situation to me, makes the work of prevention, outreach, and education even more important than any other projects HHN has on the table. If we can get to areas that have not yet been affected, I believe there is a good chance the predicted ‘tsunami’ will not arrive. I have connected with a group called Clean the World (www.cleantheworld.org) who are working in a seaside region called Bas Limbe’. They have a simple chlorine water purification unit which they will teach us to make and use. We’ll then place volunteers at the water sources — streams, wells, etc. and train others. THE DOCTOR IN CHARGE HAS A CONTACT WITH ROYAL CARIBBEAN CRUISE LINES IN MIAMI WHO WILL SHIP SUPPLIES TO US. WE’RE LOOKING FOR FRIENDS IN MIAMI WHO CAN PICK UP THE 5 GAL. BUCKETS, WHICH ARE THE BASIS FOR THE SYSTEM, AND DELIVER THEM TO THE CRUISE LINE OFFICE. Details to follow. Following are excerpts from messages sent by Rosedanie since arriving in Haiti November 2, 2010. They closely follow the horrific trajectory of the cholera epidemic in the region of Limbé. The good news is that door-door outreach efforts have most recently been happening and have been well received (noted in the most recent posting at the very bottom). We are desperately in need of funds to support Rosedanie and the HHN Committee in their efforts to provide supplies and prevention information to the people in the area. Please make a contribution now by clicking on the DONATE link on the left. We greatly thank you. 04 November 2010: Hi there. Am still trying to resolve network issues. In need of emergency supplies. 30+ cases cholera at Good Samaritan Hospital. Need ivs, more rehydrating salts, headlamps. Patients housed in yard away from others. Please send call out for help. Trying to find economical way to receive supplies. Thanks, Danie. 05 November 2010: Good morning. On my way to Cap Haitien for $ and supplies. 07 November 2010: PC-Relief-Haiti ALERT: Blue Plastic Water Bags – infected – Water distributed in Haiti as purified. Director General of Haiti’s Health Department, Mr. Gabriel Thimote, warms that blue plastic bags of water labeled “purified” should not be trusted because they are filled with untreated Artibonite River water. 08 November 2010: Good Morning. Have images from yesterday’s cholera prevention gathering. Will send soon as am able. Thank you. In unity, Rosedanie. 10 November 2010: Good morning everyone, Hope you are all well. I got the modem yesterday and now have internet at the house. It’s a little slow but it works. Life here in Limbe’ is so so. We had no electricity for 3 days, and it’s been raining heavily on and off for the past week. The roof leaks and our kitchen draining system is plugged. There are now 5 people other than myself living at the house putting a strain on the food budget. As for the cholera outbreak, cases are increasing. I am going to visit the Good Samaritan Hospital later and see how the additional patients are being housed. 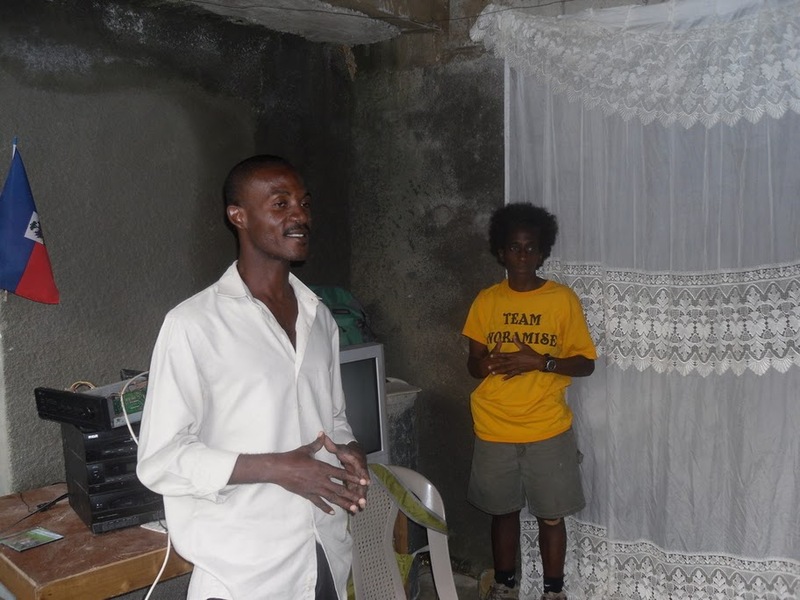 I spoke with the Director of Public Health in Cap Haitien yesterday. He informed me he had run out of ORS (oral rehydrating salts) and ivs and was trying to procure more. When asked what we could do to help besides community outreach, he expressed the need for surgical gowns, gloves, and face masks. Many people have died because their families and hospital staff are afraid to touch them fearing they might contract cholera, even though they’ve been told it is not transmitted through touch. I’ve yet to see any MSF (Doctors Without Borders) staff working in this area. I suspect that much of the supplies they are bringing will not get to those in need but will be sold by the people responsible for distribution. This was the case with the many food supplies sent after the earthquake. I’ve called a meeting of the HHN Limbe’ Committee on Saturday in order for us to decide how we will get information to people in the rural areas. On Monday I hope to meet the Chief of Staff at the General Hospital in Okap who will be able to introduce me to a representative of MSF in order to obtain more supplies. In the meantime I am continuing with the purchase of soap and bleach to distribute, as well as making copies of prevention materials. The bottom line is that this crisis is not yet under control, and I’m not sure what more we can do other than what is being done. Please do what you can to get the word out regarding what is going on and to obtain funds and/or the above mentioned supplies. I am off to the Bethesda School in a while where I will be substituting for Sister Irose on Thursdays so she can have a day off. Well, that’s all for now. Thank you all again for your work. 10 November 2010: I am also in need of some food supplies. Prices have gone up for everything and with the additional mouths to feed, what I had budgeted for food will not be sufficient. Once we are able to establish an economical shipping route, we could use some cereal, bags of tuna fish, and other sources of protein. Still trying to get hold of the shipping company to see about getting a discounted rate. Must now dash and get trained as a substitute teacher. Thank you, Rosedanie. P.S. Still trying to attach photos to send. “10 November 2010: Hello, I visited the hospital and spoke with the administrator. Besides the supplies mentioned earlier there is a great need for medical personnel. There are 12-15 new cases admitted daily, and they are short on staff. Please update the website and add this to the volunteer page. Anyone available can of course be housed here. Have arranged to return in a few days and do some outreach with the patients and their families. Also made contact with a UNICEF worker who came to find out what the hospital needed. He and a colleague will be here Saturday, and we are planning to meet. The boys came home from school today with a water purifying straw from waterislife.com. Can someone check to see who they are and if we can somehow connect with them. As electricity supply is short at the moment, I can’t spend any time searching online. That’s all for today. Must get ready for my first day of school. 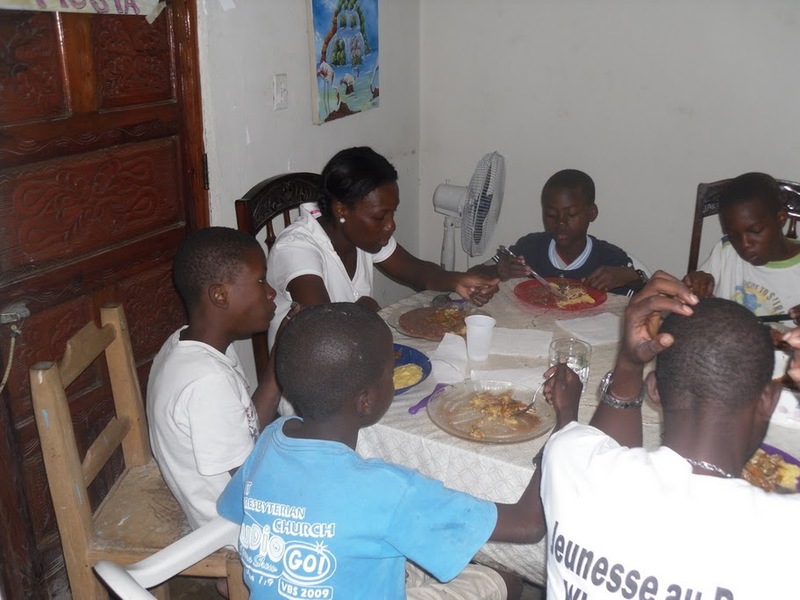 15 November 2010: Update from Haiti: According to Bureau of Public Health, Limbé is 2nd in area most affected by cholera. 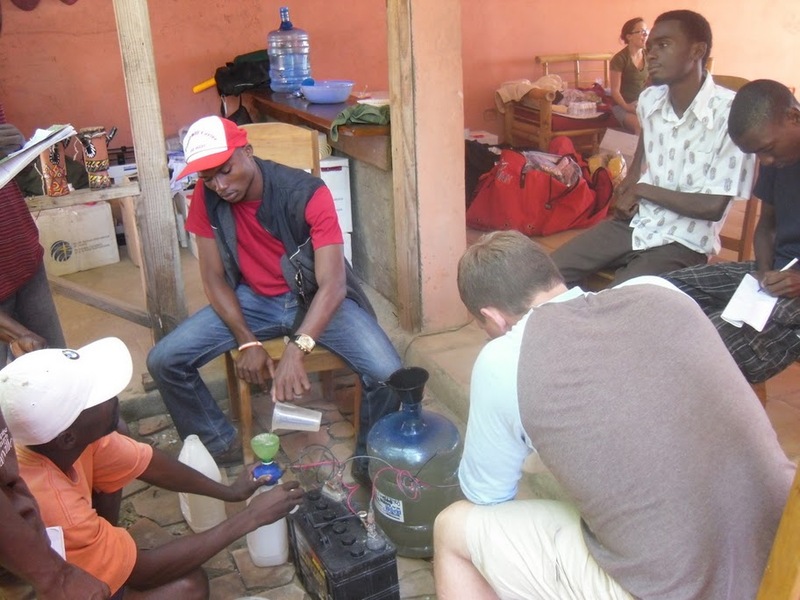 Team Noramise visited the town of Bas-Limbé & held 2 community outreach gatherings, giving info on symptoms and means of prevention for cholera, plus instruction on how to prepare an electrolyte fluid to give to those affected to drink while they are being rushed to health care. Photos to follow. 16 November 2010: Hi there, Had a meeting last night to plan our door-to-door cholera prevention outreach. Due to unrest yesterday, most schools are closed today and people are still apprehensive about leaving their homes. We are starting the visits in our neighborhood and working our way outward in the direction of areas we’ve already covered. Several community members have been invited to join us. We’ll have to wait and see who actually shows up. 17 November 2010: continuing our door to door outreach on cholera prevention. it’s going well, as each day a few more LOCAL RESIDENTS join our team in the work. Hoping to see a decrease in the # of people needing medical care soon. the hospitals are once again running out of supplies. the road to Cap-Haitien has been blocked for several days due to the riots. things were slightly calmer in Limbé today. On November 12th it will be 10 months since the devastating earthquake shook my country, and I sent out a call for help. The myriad ways in which this call has been answered continues to amaze and inspire me. I would like to take this opportunity to thank you all with all my heart. Recently my young friend Samantha celebrated her birthday in Seattle, by having a fundraising party for Helping Hands Noramise (HHN). She and her friends raised over $300 and collected school supplies for students in Limbé. This kind of grassroots effort is the driving force behind HHN. Your generous contributions of funds and time have enabled us to install gardens, provide school supplies for over 50 students, host the first of what I hope to be many Arts and Sports camps in which Haitian and American students participated. We were also able to provide tools and some work to a fledging woodworkers collective. The many projects which we have undertaken are vital to the sustainable economic and educational growth of Limbé, and of Haiti in general. We will keep you informed and involved every step of the way. I know how hard we all work and how limited some of our resources are. My promise to you is that your efforts will not be wasted. HHN is determined to help the Haitian people reach a point where they will be able to help themselves and will only need supplemental support from us to accomplish their own growth and development. As I head back to Haiti to continue the work, I hold in my heart your warm thoughts and generous words. Again, thank you for your continued support.